ULAANBAATAR, MONGOLIA — ITC Solutions installed a complete audio system by HARMAN Professional Solutions at Holiday Inn Ulaanbaatar. The newly opened four-star hotel is the first property in Mongolia to satisfy the IHG “Green Engage” standard of sustainability. In addition to 170 rooms and 13 suites, the 20-story hotel features a lobby, SkyView Lounge, large ballroom and six conference rooms. 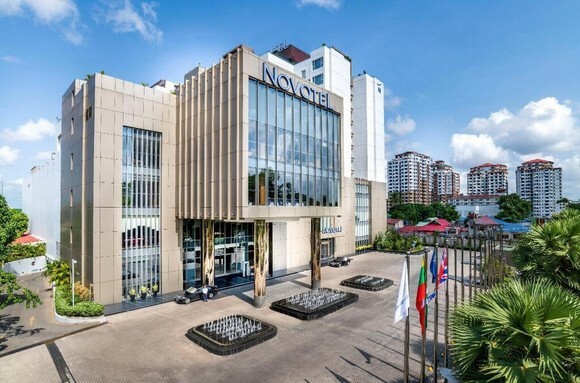 In order to deliver a world-class audio experience to its guests, Holiday Inn Ulaanbaatar hired ITC Solutions to install an end-to-end HARMAN audio solution made up of solutions by JBL, Crown, Soundcraft, dbx and AKG. 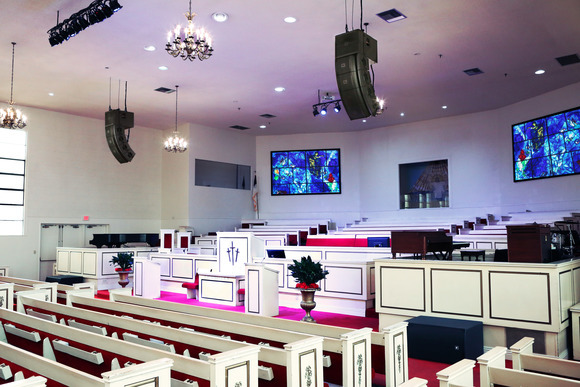 ITC Solutions faced a major challenge during the installation—building construction had begun before the audio system was designed. Fortunately, HARMAN offered a comprehensive variety of flexible solutions to accommodate the different reinforcement needs and acoustic environments within the hotel. The system ITC Solutions installed at Holiday Inn Ulaanbaatar consists of JBL loudspeakers, Crown amplifiers, Soundcraft mixers, dbx signal processors and AKG microphones, and enables the staff to produce a wide range of successful events. JBL 8214 and 8128 in-ceiling loudspeakers discretely deliver elegant music throughout the lobby, Skyview Lounge and other public areas at Holiday Inn Ulaanbaatar. JBL Control HST wall-mount speakers’ patent-pending design eliminates room reflections and provides a flat frequency response and consistent sonic character throughout the hotel. 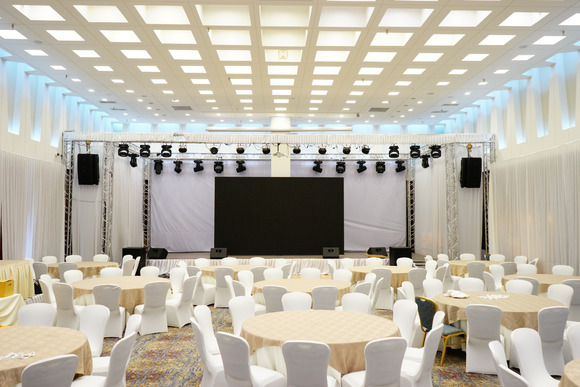 The systems in the ballroom and conference rooms consist of JBL VRX932LA line array speakers and VRX918S subwoofers, delivering concert-worthy sound in a compact and efficient package. JBL PRX412M portable speakers provide versatility by functioning as stage monitors, conference room PAs or miscellaneous applications—depending on the event requirements. The entire system is powered by Crown XTi Series amplifiers, and optimized using a dbx DriveRack 4820 loudspeaker management system. Events held in the hotel’s ballroom benefit from AKG CGN521 STS condenser gooseneck microphones, which include a control switch for mute, on/off, high pass filter and other functions—perfect for conference tables and podiums alike. When an event features musical entertainment, AKG D5 dynamic vocal microphones deliver crisp, dynamic live vocals with high feedback suppression. AKG WMS470 handheld/lavalier microphone sets provide the hotel AV staff with versatile wireless capabilities and convenient flexibility to handle any speech reinforcements. A powerful and transparent audio mix is essential to the success of events at Holiday Inn Ulaanbaatar. 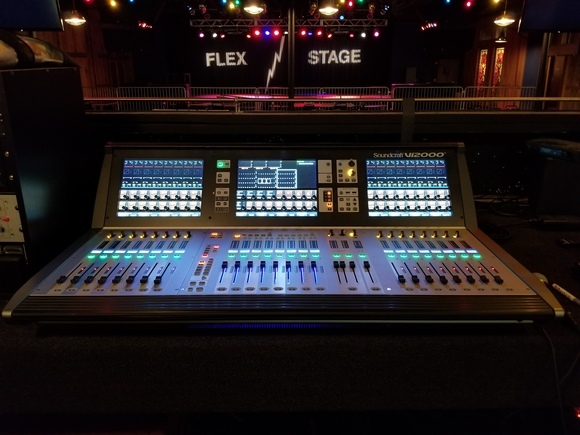 A Soundcraft Si Expression Series digital mixing console offers extensive features and legendary sound quality in the ballroom, while Soundcraft EFX8 compact mixers enable intuitive control of microphone and playback levels during meetings in the conference rooms.